We Like Scary Movies: "Blair Witch"
Into the "Season of Shadows"
There are few things this Ghost and Witch love more than being scared. For us, the haunted attractions the Hallowed season brings are a highlight of our year. Here in western New York, we are beyond lucky to be the home of "Frightworld: America's Screampark." Frightworld is one of the highest rated and regarded haunted attractions in the nation. Like we have in years past, we recently sat down with Stephen Szortyka, GM and Director of Operations for Eerie Productions and Frightworld, and pick his brain about what it's like to run one of the biggest haunts in the country, and what it exactly it takes to make us afraid. What a Witch: "Thanks for sitting down with us, Stephen. One of our favorite things about your houses are the balloon bag—rooms?—that never fail to get our claustrophobia going. They never fail to scare us every year. Why the lack this year? What is the upkeep for the “balloons” like?" Stephen: "Every year, we like to switch things up and keep things fresh. Sometimes that includes moving, changing or removing things. “Claustrophobia” is a highlight of many customers experience here at Frightworld. Upkeep on the “balloons” is a process. Sometimes they are ripped and need to be sewn. This year, we have 1 of them in 1 of the attractions. Not going to tell you where, you will have to find it yourself!" Ghost: "Haunted attractions have made the news lately for being forced to- under pressure- remove or close houses down that make use of asylums and psychiatric facilities and patients. We love Erie Asylum, and think it is one of your best houses. What are your feelings on this—is political correctness going too far? Or does the history of what happened at these abandoned places and deserve a place in the American consciousness of fear?" Stephen: "This is a great question, but also a very tough question. Society has become more adaptable over the years. What used to scare customer back in 1990, with black walls, a strobe light, and some fog, no longer scares them. With society changing, so has haunted attractions all over the world. Our event is a high tech Screampark with top of the line technology that has evolved over the years to become the park it is today. 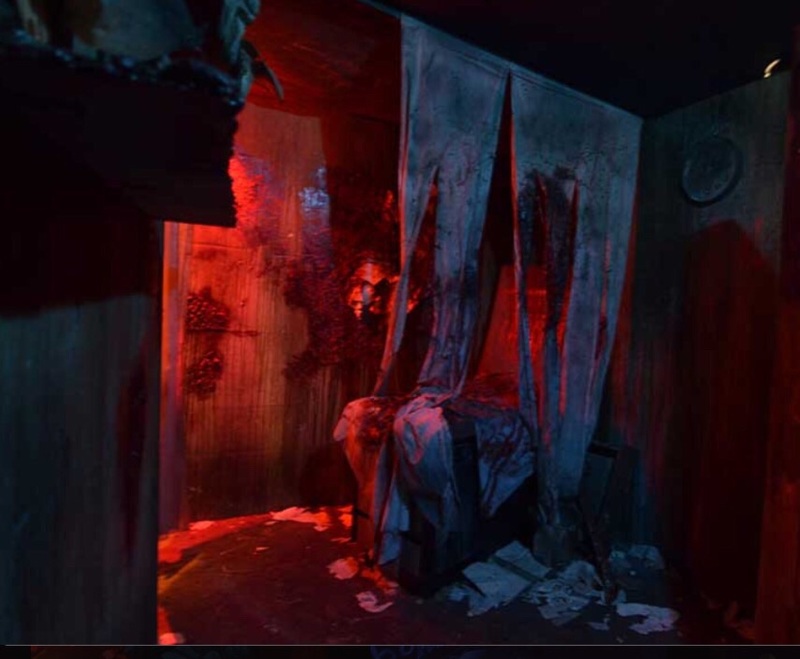 Haunted attractions with asylum themed houses have been around since the start of haunted houses, for 1 reason, and 1 reason only, the customers want it. Speaking on behalf of our event and many other events out there, it’s not our intention to ever criticize or make light of any event, in favor of entertainment." What a Witch: "We noticed you have a theme night for younger kids planned this year. What made you decide to do that, and what does it entail? How do you make Frightworld less scary for the ankle-biters?" Stephen: "Our customers asked for it! The popularity of our event, both locally and nationally, has drawn interest from all ages. You’ve asked for it, so we are providing it: Little Frights with Lights. October 29th 2016, our little friends can come to Frightworld and check out the park with the lights ON and no monsters! To make this event “less scary” we cover up some of the more mature scenes, add lights to the event, and turn off the sounds. The kids go trick-or-treating at all the attractions, enjoy balloon animals and face painting. If they are brave enough, they can check out the attractions with an accompanying parent." Ghost: "Technology in haunted houses has become a big issue. What are you opinions on high tech (the use of tv/computer screens, etc) versus more traditional scares? (One of our favorite things this year were the curtains blowing in the wind. So atmospheric, so affective.)" Stephen: "Today, we have no choice but to incorporate technology! Its needed for many different effects. And that’s NOT a bad thing. Technology has allowed us to make our park more of an immersive experience for our customers. We now have full control of our customers and their scares when they enter our attractions. We focus on finding a happy medium between old school and new school. Like you mentioned, we still use something as simple as fans that blow curtains through the windows." What a Witch: "What are you most proud of with Frightworld this year? Is there anything you can tell us about plans for the future?" Stephen: "2015 and 2016 are mile stones for us here at Frightworld, for several reasons. #1: we are in the largest building we have ever been in. #2 We were ranked by BuzzFeed as #3 haunted attraction in the nation which received over 3 million hits in 24 hours. Along with other nationally acclaimed awards, we also hold #1 Haunted Attraction in Buffalo and the Northeast by Frighttour.com." Ghost: "What are your favorite and least favorite things about running such a large haunted attraction?" Stephen: "This business is our passion. The best thing about this is that we love our job and we love what we do. We love coming into work every day! What started out as a backyard Halloween party is now a nationally acclaimed Screampark! Every day I get to go something different, today I might work on marketing, tomorrow I could me on the road doing sponsor distributions and then the next day I could be detailing an attraction. It’s never a dull moment during the Halloween season." Ghost: "Bonus/current events question: What, if anything, is scarier than the reports of clowns trying to lure children into the woods with candy and waving at adults at 2AM?" Stephen: "What began as a marketing Technique for a movie coming out 3 years ago has turned into a freak viral trend today. I laughed when I saw the craze start back up. What’s scarier is the clowns we have here at Frightworld. Come get a real scare!" Frightworld: America'a Screampark is located at 800 Young Street, Tonawanda, NY. Open October 14-16, and starting October 20th, Frightworld is open every night through Halloween, and also November 4 and 5th.